INSPIRING BUSINESS HAPPENS IN INSPIRING LOCATIONS. The Malibu Conference Center at Calamigos Ranch is the ideal setting for hosting corporate conferences, team building workshops, seminars, and overnight retreats. Our ranch is surrounded by spectacular groves of oak, pine, eucalyptus trees, lakes, swimming pools, natural ponds, waterfalls, and our famous ropes course and hiking trails. So whether you want to stay in, or get out, we’re sure you’ll enjoy every minute of your conference with us. We’re against sitting in sterile rooms and simply talking about how to work together. We put your employees in the heart of the action by motivating them to get their hands dirty and participate. Our activities range from fun-filled scavenger hunts, group hikes, iron chef competitions, and group events one of the highest-rated rope courses in Southern California, to more serious exercises. Ask about our Business 101 course or the multi-day hardship retreat. 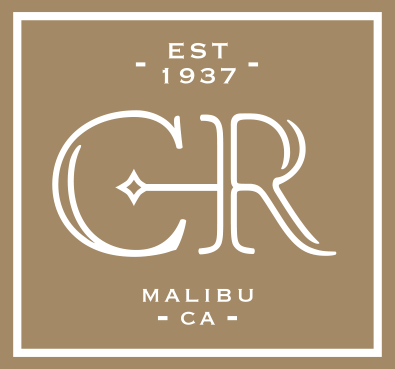 It would be impossible for your team not to grow closer after an event in our 130 acres of serene Malibu Mountains. On the ranch we are all about breaking down self-imposed boundaries through hands-on learning and experiential activities. Our team-building professionals are experts at engaging groups by empowering them to be active players. We welcome you to our top quality corporate training program that focuses on learning, team bonding and leadership development. The Calamigos Beach Club is a breathtaking five acre ranch along the Malibu coast where Latigo Canyon meets the Pacific Coast Highway. Established in 1936, the Calamigos Star C emerged as the premier location for wellness and healing in the growing town of Malibu. Tucked inside Heritage Square on Main Street, our pale yellow shingled mansion lends a turn-of-the-century gentility to the lively seaside town. Thank you for giving us the opportunity to be a part of your next special event! Click below for department information, including phone numbers, emails, and a contact form.